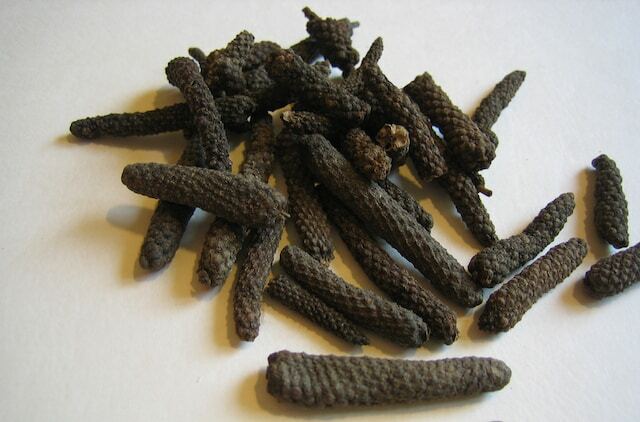 Long pepper (Piper longum), sometimes called Indian long pepper (pipli), is a flowering vine in the family Piperaceae. It is cultivated for its fruit, which is usually dried and used as a spice and seasoning. The dried fruit of Piper longum is a slender, aromatic plant with creeping jointed stems and perennial woody roots. It is used to make medicine. Indian Long pepper has a taste similar to, but hotter than, that of its close relative Piper nigrum. The Indian long pepper, widely used for spicing up food in Indian subcontinent may soon be used as a potential cancer treatment drug. According to a study in the Journal of Biological Chemistry, Indian Long Pepper contains a chemical that could stop your body from producing an enzyme that is commonly found in tumors in large amount. The secret behind cancer-fighting properties lies in a chemical called Piper Longumine (PL), which appears to kill cancer cells by jamming the machinery that dissipates high oxidative stress. Using X-ray crystallography, it was found that Piper Longumine (PL) converts to hPL, an active drug that shuts down a gene called GSTP1. This gene produces a detoxification enzyme that is found in abundance in tumor cells. The enzyme Piper Longumine has also shown activity against many cancers including prostate, breast, lung, colon, lymphoma, leukemia, primary brain tumors, and gastric cancer. Indian long pepper is used to improve appetite and digestion. It can also be used to treat stomach related problems such as stomachache, heartburn, indigestion, intestinal gas, diarrhea, and cholera. Some women use Indian long pepper during childbirth and during the 3-6 weeks following childbirth while the uterus returns to normal size. Women also use long pepper to stimulate menstrual flow; to cause abortions; and to treat menstrual cramps, infertility, and loss of interest in sexual activity. Webmd.com. (2017). 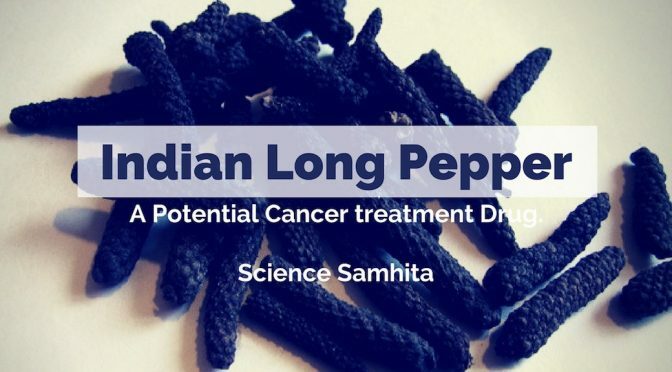 INDIAN LONG PEPPER: Uses, Side Effects, Interactions, and Warnings – WebMD. [online]. Indianspices.com. (2017). Pepper Long | Spices Board. [online]. Previous PostWhy is the Two-Kingdom Classification System Inadequate?Next PostWhy Blue Green Algae are not included in Plantae Kingdom?